Bruce Springsteen in "Springsteen on Broadway"
Couldn't get tickets to Springsteen on Broadway? It's coming to Netflix. The streaming service announced Wednesday that Bruce Springsteen's always sold-out Broadway show will make its worldwide Netflix debut on Dec. 15, the same night it's scheduled to end a 236-show run at Manhattan's Walter Kerr Theatre. "We are thrilled to bring Bruce Springsteen — a master storyteller, humanitarian, and voice of the everyman — to Netflix in this historic one-man show," Netflix chief content officer Ted Sarandos said in a statement. "This groundbreaking experience defies the boundaries of theater, concerts and film, and will give our global audience an intimate look at one of the biggest cultural icons of our time." "The purpose of the film is to bring this incredibly intimate show to Bruce's entire audience intact and complete," said Springsteen's manager, Jon Landau. Netflix, he noted in his statement, "has provided for a simultaneous worldwide release, which is particularly important for our massive international audience." 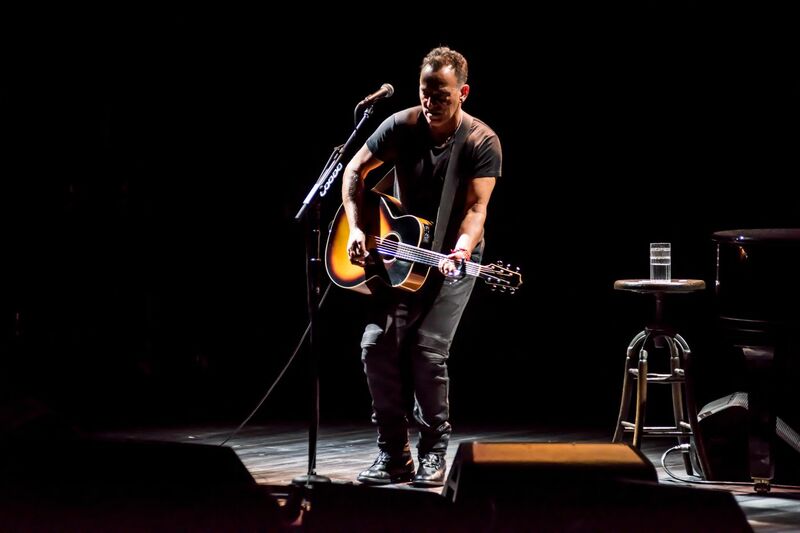 The one-man show, an evening of songs and stories that is based on Springsteen's autobiography, Born to Run, opened last October and has been extended three times beyond what was initially to be an eight-week run.